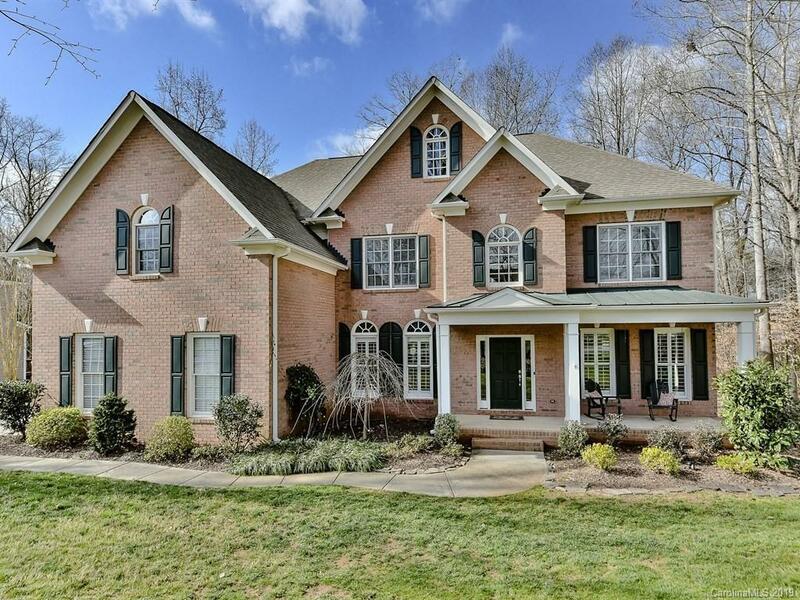 Great opportunity on this nearly 4000 sf 3 story home with loads of upgrades and updates on a private, wooded lot backing up to creek and walking trail! HW flooring throughout main level (except greatroom), upgraded kitchen with granite tops, gas cooktop, custom center island with contrasting cabinetry, 2 story GR with double rear wall of windows, guest suite (BR 5) on main level with full BA, huge master suite with upgraded bath and enormous retreat/office/storage area! Bedrooms 2, 3 and 4 all have vaulted ceilings and direct bath access, finished 3rd floor is perfect for a media room or playroom, 3 car side load garage, great neighborhood with amenity center including pool, tennis, walking trails, ball field, etc. Immaculate condition and move in ready!